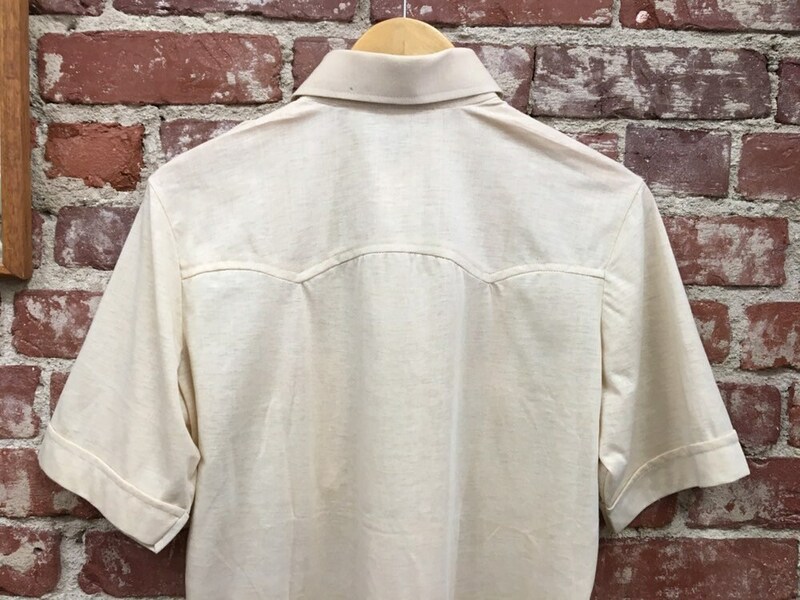 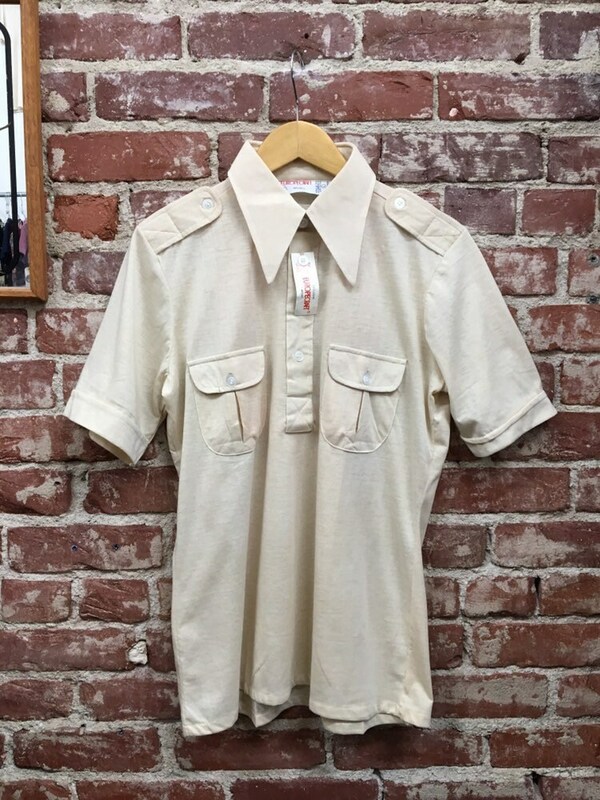 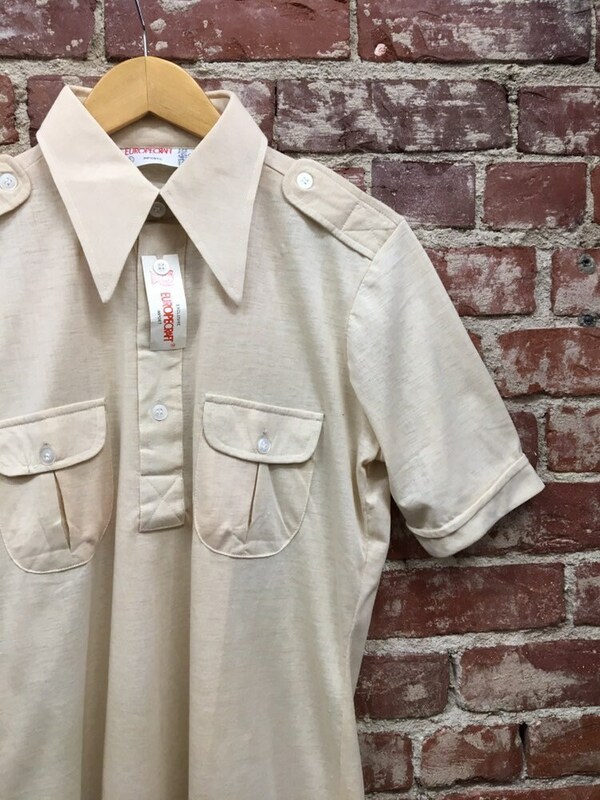 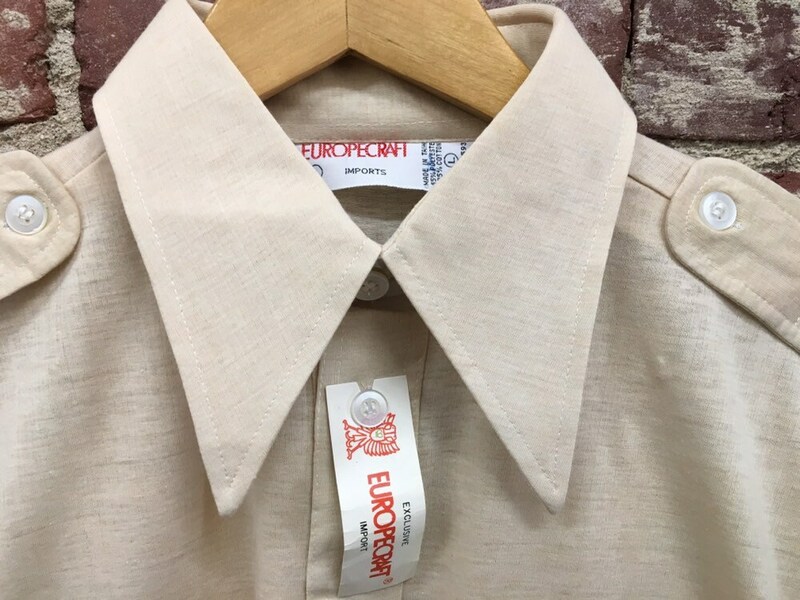 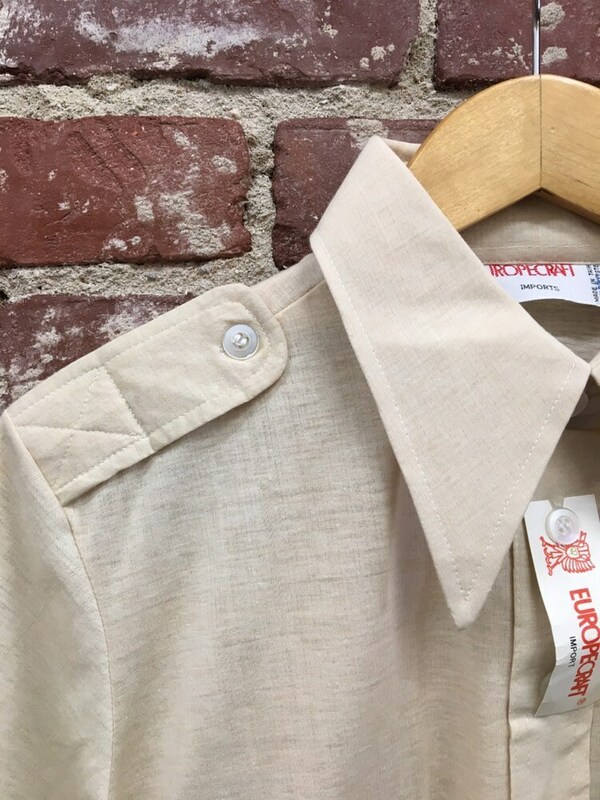 Fantastic seventies dead stock men’s polo. 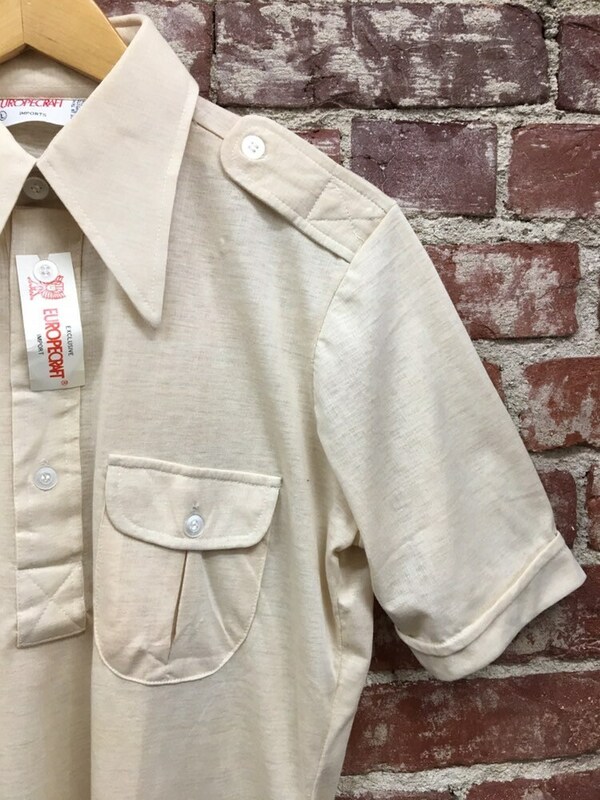 Beautiful detail on the pockets, epaulets, and cuffed short sleeves. 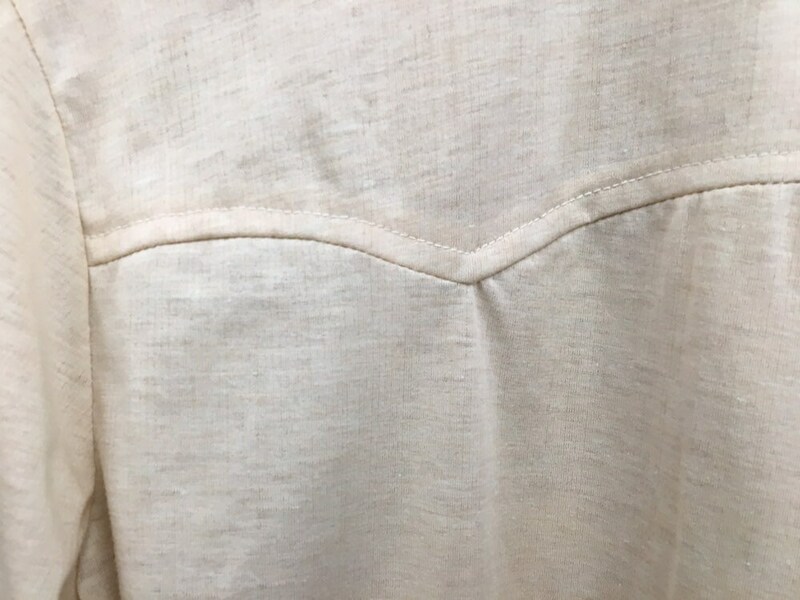 Made of a very thin, soft fabric that feels like cotton. 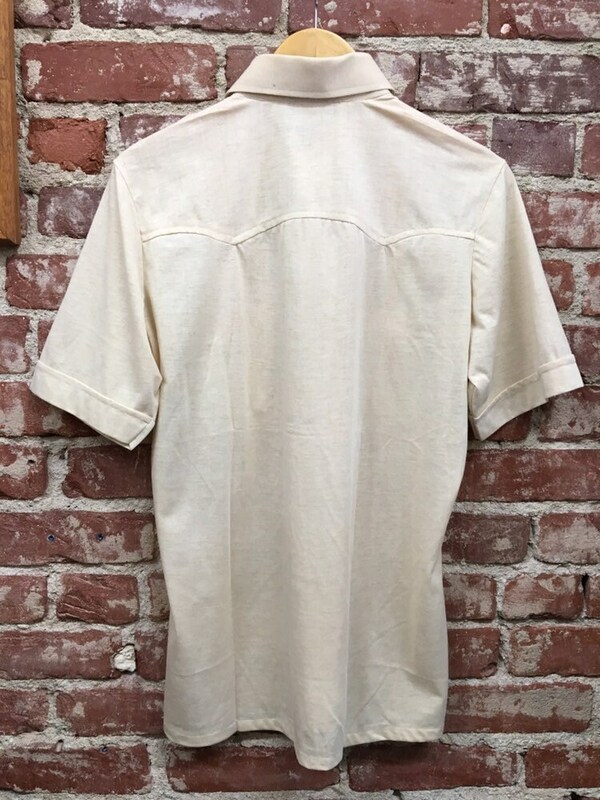 Vintage tag says 65% polyester, 35% cotton. 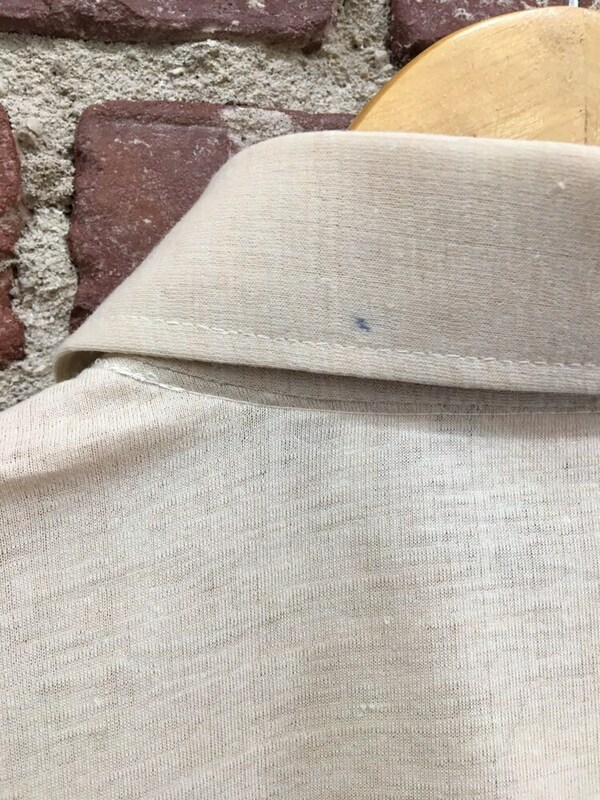 Very tiny pen mark in the back of the collar. 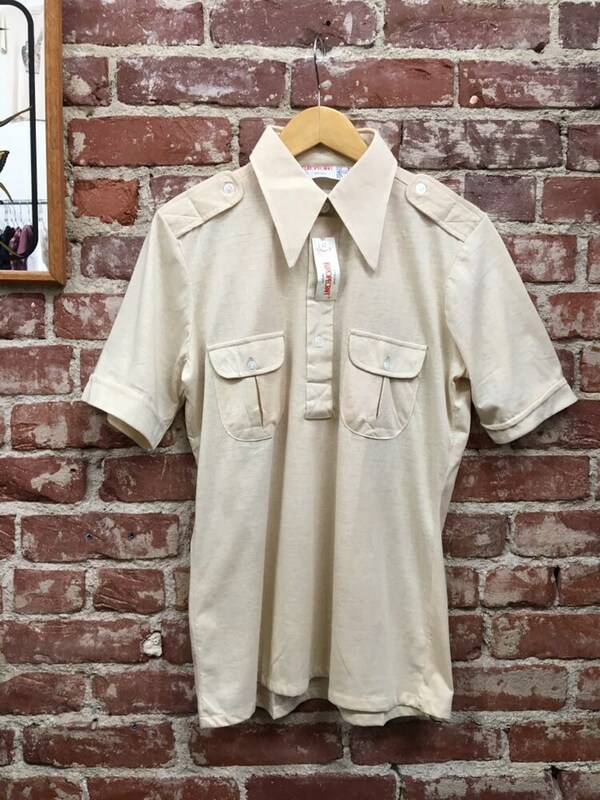 See last photo.